Avid followers of my blogs VirtualModels and Drive-by Snapshots may already be aware that I have a sweet spot for classic French cars. Spending many a school holiday en vacences in France certainly is one of the possible reasons, yes. This and my preference of straight lines and low waistlines are perfectly combined in the Peugeot “05” generation. 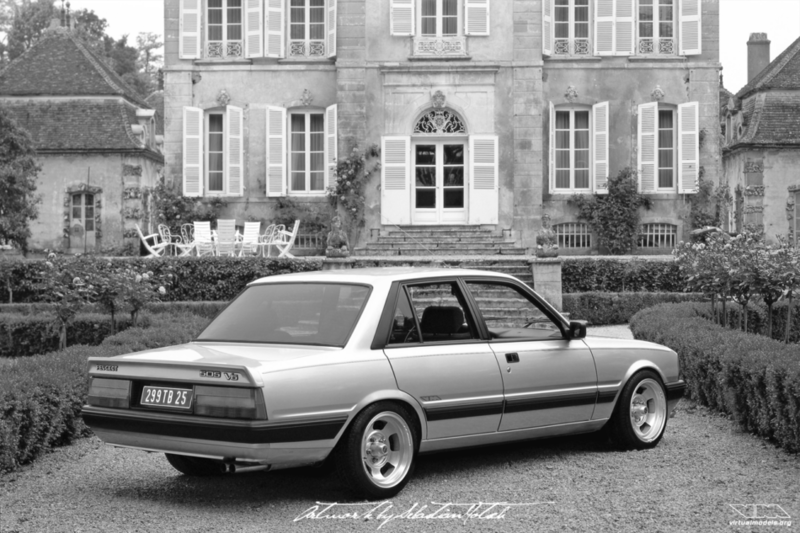 The greenhouse of the Peugeot 505 is more elegant than that of a Ford Granada Mk2 and at the same time almost as delicate as a Jaguar XJ‘s. This however becomes obvious only after the 505 is lowered, which also changes the overall appearence and makes the car look longer than it actually is. As with many cars from that era, there is no need to alter the body to get a great look. Just a few minor adjustments here and there… et voilá! C’est ça. Très bien. Salut Steve, les jantes sont de Wolfrace.